It wasn’t that long ago that Boston was pretty much a good bagel desert. Those days are over, though, thanks in no small part to Bagelsaurus, Mary Ting Hyatt’s pop-up-turned-Porter Square destination. Starting today, a limited number of Bagelsaurus bagels are now available every Friday morning at Longfellows in Cambridge. Flavors like everything, and seeded wheat, plus a rotating variety of house-made cream cheeses, round out the coffee shop’s menu of fancy toasts, Bondir croissants, Union Square Donuts, and more. 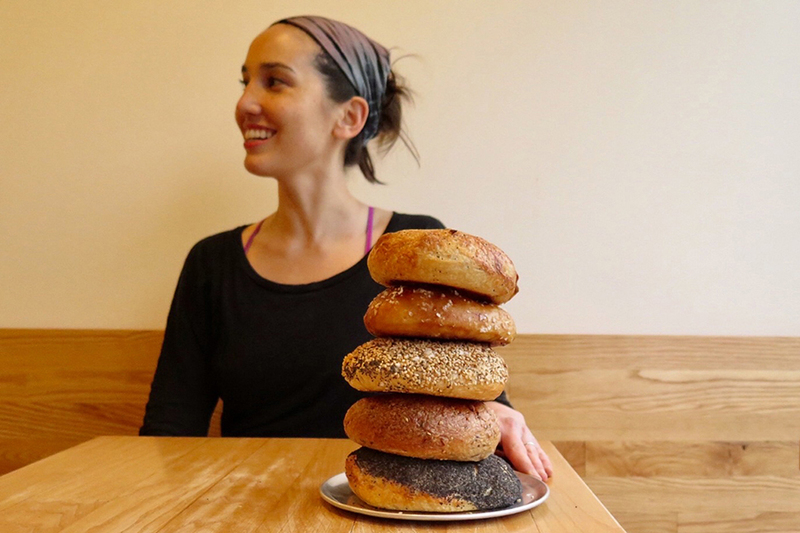 In other bagel news: Exodus Bagels’ Jamaica Plain shop is open, now with Tandem Coffee; Better Bagels has opened a Seaport shop; Mamaleh’s does house-made bagels every day; and Levend Bagelry has organic offerings inside the Boston Public Market. Looking for a sit-down brunch? Waypoint‘s bagels are looking pretty, pretty, pretty good lately. Bagel Fridays at Longfellows, Fridays beginning March 9, 7:30 a.m. until sellout, 284 Broadway, Cambridge, longfellowscambridge.com. On this week’s Top Chef Colorado finale (! ), guest judge Nancy Silverton expressed what we were all thinking when she said she was glad the ultimate decision wasn’t up to her. Both finalists, Joe Flamm and Adrienne Cheatham, had served her meals cooked from the heart, rooted in the culinary traditions they best understand. Silverton is no stranger to such evocative cooking: The James Beard Foundation’s Outstanding Chef (2014) is a master bread baker, and owner of L.A. restaurants Pizzeria Mozza, Osteria Mozza, and more. Now she has a casual dish of her own available in Boston: Nancy’s Chopped Salad, a remixed version of her favorite menu item at Pizzeria Mozza, is the latest chef collaboration at Sweetgreen. It’s available at all shops, including the brand-new Wellesley and Dedham outposts, through May 30. 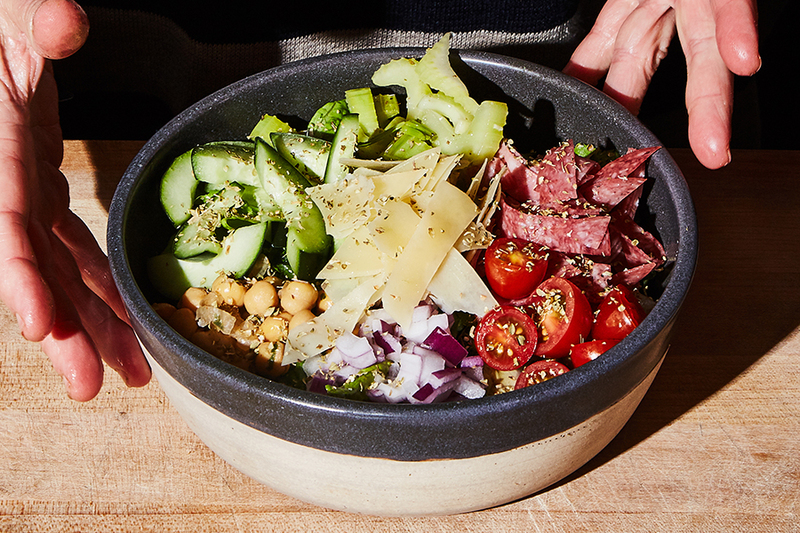 With Romaine, kale, red onion, cucumber, chickpeas, shaved parmesan, cherry tomatoes, pickled celery, organic salami, dried oregano, and Nancy’s Italian vinaigrette, it showcases the “Cal-Ital” style Silverton is known for. 659 Boylston St., Boston, 617-936-3464; 210 Boylston St., Chestnut Hill, 617-916-0788; and other locations, sweetgreen.com. There is more Massachusetts-made beer to drink than is responsibly recommended—just look at some of the painful matchups in round 2 of our Malt Madness bracket. But one of the hallmarks of craft beer fandom is the thirst for new brews. As much as we champion Mass.-made beer, we’re also always excited to welcome new offerings to our market. This month sees a few exciting entrants: From New Paltz, N.Y., Foreign Objects took over the taps at the Publick House last night, and has also been spotted recently at Lord Hobo. Keep an eye out for more of their “intensely aromatic New-American hoppy ales,” available here via Craft Collective. Equilibrium, based in Middletown, N.Y., is a project born of more than a decade studying environmental engineering at MIT. It’s coming into Mass. via the Craft Brewers Guild. Highly rated Iowa brewery Toppling Goliath also just launched in Massachusetts, via Atlantic Beverage Distributors, making it the first time beers like King Sue double IPA, and Dorothy’s New World Lager are available in the Northeast. Rock Art Brewery, an old-guard establishment from Vermont, is new to Massachusetts also thanks to ABD, with its own hazy, juicy, IPAs; ancient gruits, and more. Drink up! A Boston ex-pat is Kickstarting a Japanese izakaya and pastry shop for Provincetown called Tanuki, as Eater Boston has reported. 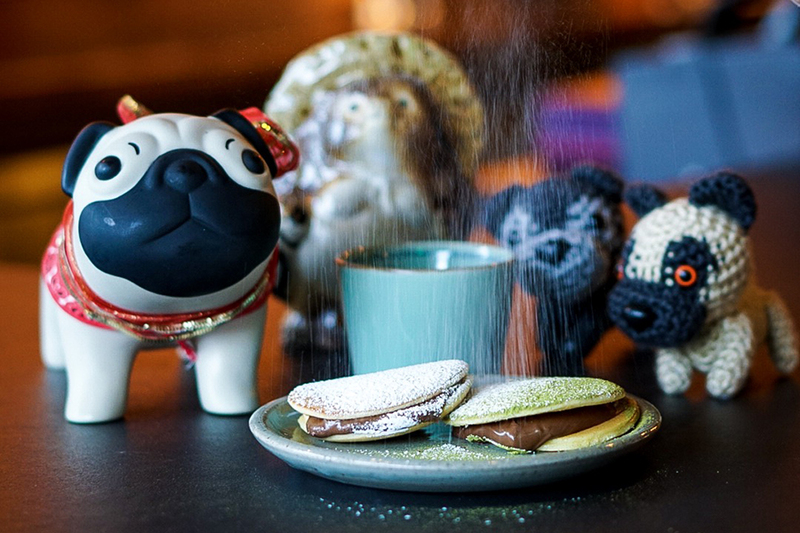 Founder Rebekah Powers, a Drink alum, is popping up this weekend at Pagu, with a taste of what’s to come with “Tanuki tea time.” Find a selection of dorayaki—a Japanese sweet that’s like a spongey-pancake sandwich—in flavors like Nutella clementine, and matcha mascarpone. If you miss out on the limited supply of Tanuki dorayaki at Pagu? Remember the Boston area has its very own modern Japanese teahouse now, with Gen Sou En in Brookline. Tanuki Tea Time, Saturday, March and Sunday, March 11, beginning at 1 p.m. both days, PAGU, 310 Massachusetts Ave., Cambridge, Facebook. Because it’s almost St. Patrick’s Day. Just say no to green beer, just say yes to colorful, layered cheesecake topped with everyone’s favorite marshmallow cereal. It’s magically delicious. Trina’s Starlite Lounge, 3 Beacon St., Somerville, 617-576-0006, trinastarlitelounge.com.